Your pool water might look sparkling clear, but your water may also contain a hidden danger to your pool equipment and surfaces: low calcium hardness. Maintaining the calcium hardness level of your swimming pool water can help prevent the addition of even more chemicals to help balance the water, and help prevent costly repairs in the future. In this article, I explain how to raise your calcium hardness level, and discuss why it’s important to keep an eye on this water balance level, and what can happen to your pool if the water is kept at a calcium hardness level that is too low. I also explain more about calcium hardness in my articles: Maintaining Pool Calcium Hardness, and Testing Pool Calcium Hardness. If you need to lower your calcium hardness level, you can read this article on how to do it: Lowering Pool Calcium Hardness. Why is Raising Pool Calcium Hardness important? 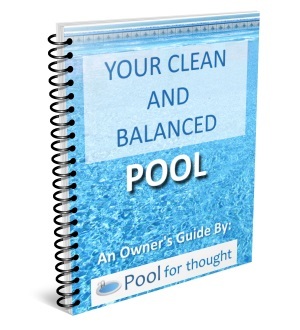 1 Why is Raising Pool Calcium Hardness important? 2 Why raise the pool water calcium hardness level? 3 Why is my calcium hardness too low? Keeping calcium hardness in balance is one of three important water balancing steps. The other two are pH and total alkalinity. 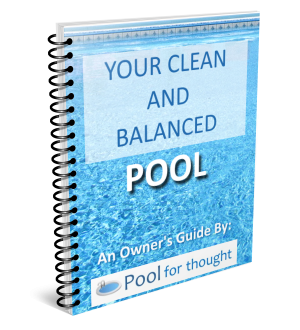 You should always make sure you have first balanced total alkalinity, then pH, and lastly calcium hardness when balancing your pool. The ideal range for calcium hardness in swimming pools is 150-400 ppm (parts per million), so if you try to keep your calcium hardness in the midpoint between those two limits, then you should be fine. Why raise the pool water calcium hardness level? For a swimming pool, low calcium hardness can bring trouble. Water without adequate minerals dissolved becomes aggressive, and seeks to add minerals back into itself. Unless you intentionally add these minerals back in to the pool, the water will dissolve what it needs from any part of your pool that contains concrete, stone, grout, or masonry, or any metal surface in your pool or pool equipment. Pitting of concrete or stone pool decks. Grout dissolving, turning gritty and fragile when you run your finger over it. Pitting on concrete pool walls. Etching or delaminating of plaster-lined pools. Corrosion of metal surfaces, such as pipes, filters, heat exhangers, underwater lights, metal screws, and hardware. If damage from soft water occurs, there is no way to undo the damage. The only option is resurfacing or replacing the damage surface or part. As an example, the heat exchanger for my pool heater is $1,400 USD to purchase, plus an afternoon of $100/hour labor to replace the unit, so a little testing to make sure my water is balanced goes a long way to prevent very costly repairs. This is again a great reason to buy a quality test kit that covers a wide range of tests. The cost of a test kit and maintaining the reagent test chemicals is well worth the investment. Why is my calcium hardness too low? Rain or melted snow that finds its way into your pool can reduce the calcium hardness, as water from rain and snow is naturally soft water, and lacks calcium or magnesium dissolved in it. If you live in an area where excessive rain or melting snow enter your pool, you could experience a reduction in calcium hardness. Your local water source will often have a calcium hardness level much less than that of your pool water. Urban water systems often have calcium hardness of about 40-80 ppm of calcium. As you add water to replace water from evaporation, backwashing, and water lost from swimmers, the fresh water added can bring the calcium hardness level down slowly. Adding calcium chloride is the most common way to raise swimming pool water hardness. First test your pool for calcium hardness. Determine how many ppm you are from the midpoint of the ideal calcium hardness range. Calcium chloride is the main chemical used to increase water hardness for pools. Add this per instructions on the product label. You should be able to look up the amount to add based on your pool size and how much you want to increase your calcium hardness value, in ppm. Usually the instructions say to NOT dilute the calcium chloride in water. You should instead spread the amount you are adding by getting down close to the water and spreading (if in powder form) or pouring (if in liquid form) into the pool. Make sure you are not spreading or pouring into the wind. You also might want to only add a portion and then test before adding the remainder into the water, make sure you do not add too much and then need to lower the calcium hardness. Wait at about six hours for the calcium chloride to dissolve into the water, then retest the calcium hardness level. If you know your local water source tends to be hard water, it would be best to stay to the low end of the calcium hardness ideal range, as any new water you add will increase the calcium hardness level over time. After several years of maintaining a pool and watching your test results, you will know if this needs to be done. You need to make sure that if you already tested pH and alkalinity, and have added sodium carbonate (soda ash) or sodium bicarbonate (baking soda), you need to wait several hours to make sure these dissolved into the water before adding calcium carbonate to raise the calcium hardness level. If you do not, your pool water might become cloudy, as the calcium carbonate will not dissolve as easily. Maintaining a balanced calcium hardness level in your pool is important, as water that lacks enough calcium can dissolve, pit, corrode, and etch the surfaces of your pool containing minerals the pool water is seeking. Testing the pool water and adjusting the calcium hardness so that the level is balanced can help prevent costly repairs to your swimming pool, and enjoy it for years to come.